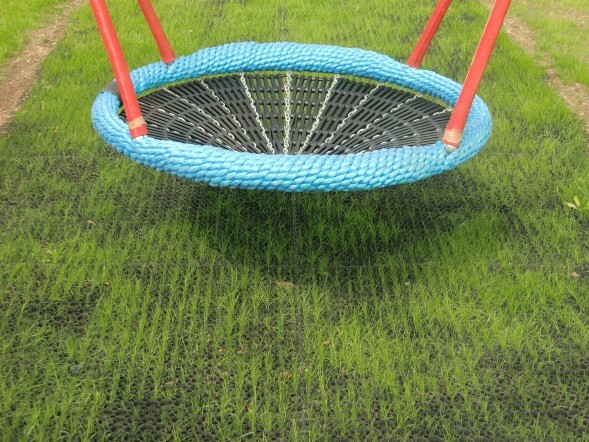 Grass mats are a consistently popular option for surfacing outdoor areas and playgrounds. As any new surface is a big investment, it’s wise to consider the pros and cons before making a decision on installing grass mats. One of the key reasons grass mats are the surface of choice for many sites, is that they’re often far more affordable than the alternative surfacing options. With the help of a professional supplier, they’re quick and easy to install, offering a durable finish that requires minimal maintenance. Quality grass mats can bring some great safety benefits to your site, like providing great fall-height coverage, slip resistance and accessibility. However, it’s essential that you check that your mats have been tested against the appropriate British Standards to really give you confidence in the product. Another reason grass mats are so widely used is that they offer a natural look, as they allow the grass to grow through the surface (unlike artificial finishes such as wet pour.) The only consideration in this is the time it takes for the grass to re-grow around the newly installed surface. Be sure to ask the right questions when considering investing in grass mats. Poor quality mats will often include less material and can rip and tear as a result. Ensuring installation is done professionally is also vital, as badly laid mats can be uneven and prone to sinking – leaving a poor finish. From a safety point of view it’s important to use an appropriate amount of fittings when installing. Ensure these are cut back to avoid sharp edges. 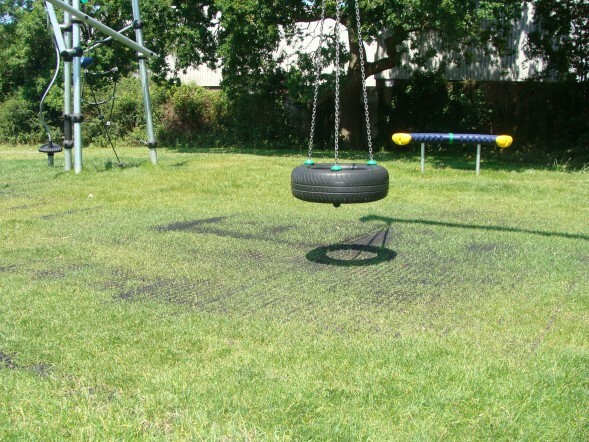 In short, grass mats are a neat, safe, durable surfacing option which are low maintenance and cost effective; just as long as they’re sourced from a professional manufacturer and installed correctly. If you’d like to speak to PlaySmart’s experienced team about your grass mat installation – you can contact us here!. Alternatively, why not take a look at our free guide to rubber grass mats? You can download the guide here.